In addition to Dr. Vora's advanced education and training, we also utilize the most state of the art dental and facial imaging equipment available. This helps us ensure optimal success for every implant procedure. Correct implant placement maximizes safety, longevity and the cosmetic end result. 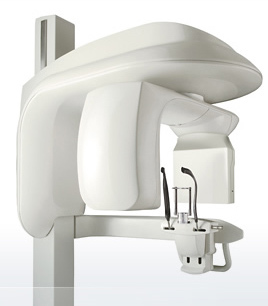 Precision implant placement begins with a CAT scan that must be extensively analyzed. SimPlant is a computer system that automatically analyzes CAT scan information and provides exact placement perimeters for optimum results. 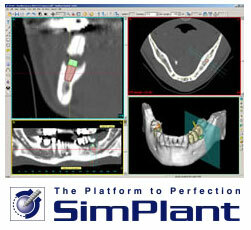 This advanced system gives immediate guidance as to the exact size of implant needed and the ideal placement location. Case planning between Dr. Vora and your restorative dentist can then be done. Additionally, the SimPlant analysis can be immediately sent to our dental lab who will use it to manufacture a surgical guide. Implant placement becomes completely computer-guided, eliminating any possible surgical error.